Today we start a new week! I'm happy to report I made my goal of 10,000 steps per day last week, finishing with 77,475. I did a little extra each day so I didn't have to worry about hitting it on Sunday. How are you doing? Did you hit your goal last week? If not don't get discouraged! My goal is to hit 6,000 steps before going home today. We'll see where I end up and I'll let you know tomorrow, along with the latest exercise of the week. Have a great Monday. Good luck and keep moving! 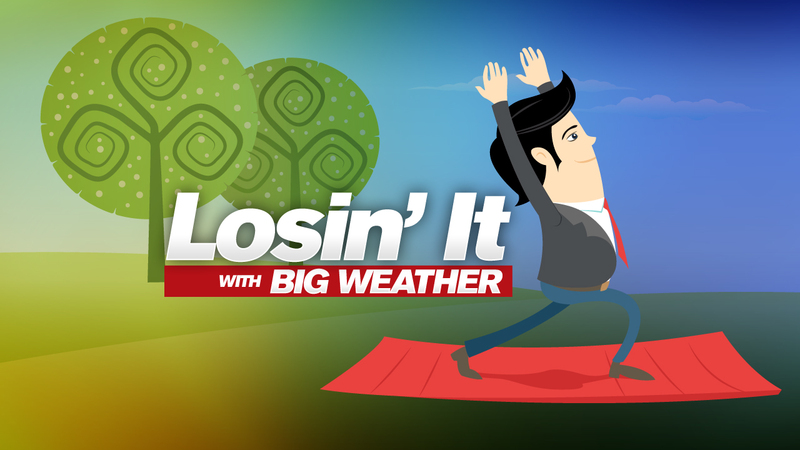 Losin It with Big Weather - When to workout?